Gossip is often difficult to escape. There will be instances in life when you find yourself stuck in having to give an opinion about somebody who you are not too fond of. The advice surrounding not talking behind others’ backs is well known and understood. It is not a decent method of getting people to like you. Even if you believe in the factual validity of what you spread, speaking negatively about others will encourage your listeners to distrust you. You will not be trusted in the opinionated personal feedback that you provide those who listen, because they will have first-hand evidence of you singing a different tune about others behind their back. With that cautionary part out of the way, some thought should still go into your approach in talking about those who you aren’t a fan of. Conversations often take unexpected turns, and you are likely to find yourself wanting to voice the real, honest, and blunt opinions that you have of others. This article takes a rather firm stance of simply not voicing anything negative about people when they aren’t there; especially if they’re people you don’t like. Below, you’ll find ways to combat the desire to speak negatively about someone, and some common traps that we fall into when we find ourselves in such a situations. The belief behind this article is that you personally serve to gain more by not spreading negativity. In an effort to always strive for honest personal gain, try to not take the bait of spreading negativity about somebody. The following points are reminders of what to keep in mind if you find yourself needing to talk about people you don’t like. There are aspects of you which are public knowledge. This information is not guarded, and everyone that you meet is qualified to know this info. You might be exceptionally tall, which is a piece of information that everyone you meet will be exposed to. Others are great conversationalists, and have a reputation for being so. Cater to the positive reputations when asked to speak about people you don’t like. There may be legitimate reasons for why you are not a fan of certain people in this life, but everyone has a list of positive reputations to uphold (no matter how short that list is). Know the positive reputation of your “enemies,” and repeat it back to those who ask for your opinion. If the person you don’t like is a great entrepreneur, then it’s safe to mention in your thoughts about them. Reciting the positive reputation of those you hate will serve to benefit you in various ways. First, it will not make it evident that you hold ill feelings toward the subjects in question. Your opinions of these people will not be perceived as biased because of your hatred, and you will not give away your (possibly irrational) dislike for them. Second, you will further improve your reputation of being a trusted foe. The people listening will respect the positive light you shine on others and will trust you do to the same for them. By refusing to speak negatively about those you don’t like, you’d do your part in reducing the number of people you’re forced to not like in life. You’d smoothen the edges of your communications with others, and people who don’t like you will have less to grab onto and attack. People love to gossip. There will be times when your negative opinion of another will also be shared by a member of the gossip circle that you find yourself within. Do not agree with their statements. Do not nod in agreement, and do not give any indication that you hold the same opinions. This is a mistake people make far too often. You may not say a word but you’ll adopt all the words that have been said by others with a simple, “mhm,” or nod. Reaffirming the hatred that others hold should be seen as being similar to speaking those words yourself. The people who are making statements will desperately seek approval so be careful not to give it. Keep their opinions attached only to themselves, and do not give away your dislike for the person who the conversation is about. Even if everyone around you reaches the same negative consensus that you hold about a particular person, still do not agree. Acknowledge the mistakes of others if you must but downplay their significance. Steer clear of being labelled as someone who spearheaded the conversation about another person’s shortcomings. Downplay the tendency for the group to burn the witch and try to ease the hatred toward those that you hate yourself. Ensure that you are not predictable in your hatred of others because it serves you in ways which are more bad than good. You’ll become easier to predict and read. The malicious ones around you could use simple information like that to ruin your relationships, connections, networks, and other social structures that you have in place. Whenever possible, keep all bridges erect by downplaying the hatred that you have for people, and (at least pretend to) give them second chances. Downplaying the mistakes of those that you, and others, dislike will keep your options open. 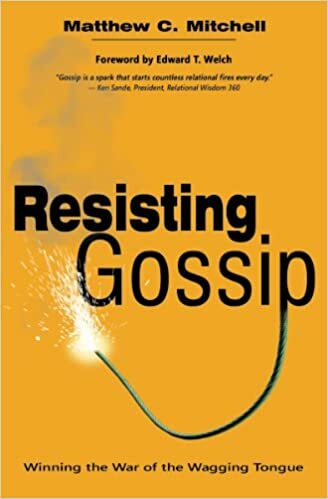 Our “enemies” are forever shifting, and you never know if someone in the gossip circle that you find yourself within will use what you do or say against you in the future. You save yourself from the possibility of a leaked message making it to your “enemy” by acknowledging their side of the argument when others don’t. With all this being said, try to stay away from settings in which you find yourself in a position of being expected to spread negativity.